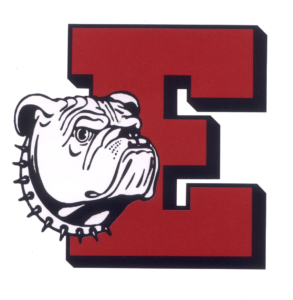 Proudly Providing Plumbing, Heating AirConditioning and Drain Cleaning Service In Easton PA., Home of “The Easton Red Rovers”. Are plumbing repair issues keeping you up at night in the Easton, Pa. area? 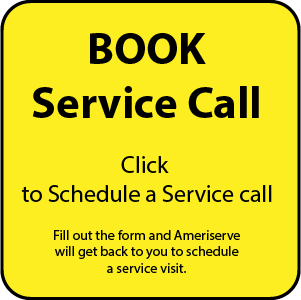 Call AmeriServe at (610) 258-2591 to get immediate attention today. Or click here to join our club and save money on all your plumbing needs! Plumbing problems are unfortunately a very common issue for most homes and businesses in the Easton, PA area. However, the majority of plumbing issues can be resolved through regular maintenance and repair services from a professional plumbing company such as AmeriServe. Even the smallest of plumbing problems should be taken care of by a professional as soon as possible in order to prevent more serious and costly plumbing issues from occurring in the future. Don’t take our word for it. See what your neighbors are saying here! Is Your Home Suffering From Leaky Faucets and Pipes? Leaking faucets may seem like an unimportant plumbing issue that can be ignored. However, avoiding maintenance on leaks can result in high water bills, water damage, and mold growth. Similarly, the pipes beneath kitchen and bathroom sinks are among the most used sections of plumbing in homes and businesses. Pipes beneath these sinks can sometimes be knocked out of place or even sustain punctures. If you find that any of these areas are giving you problems, seek professional assistance from our expert technicians today! Are Clogged Drains Causing Issues In Your Homes Plumbing? Clogged drains are often found in bathrooms and kitchens and can cause blockage in sinks, showers, and toilets. Often times clogged drains are the result of larger items getting stuck in pipes preventing water from passing through freely. Similarly, blocked toilets can occur from a buildup of waste and excess toilet paper building up in your homes plumbing. No matter what the reason for the clog, getting professional drain cleaning services is imperative for the safety of your home. Our trained technicians will restore free flowing water to your homes plumbing efficiently and professionally! Is The Water Coming From You Sinks And Showers Freezing Cold? Hot water heaters and boilers can cause serious issues that can result in the loss of hot water or heat in your home or business. There are many things that can cause this situation such as loose connections, broken pipes, or damaged parts. Most of the time this equipment needs to be replaced by a professional plumber in order to maintain its regular functions. Our professional technicians are on call to resolve many of these issues effectively and professionally. Call us today to schedule an appointment and get industry leading repair service for your home in no time! Our Full-Service Plumbing Solutions Cover The Entire Easton Area! We offer high quality repairs, maintenance, and installation services, for all of our Easton, PA customers. No matter what your issues are, big or small, you can trust in our expert staff to find a solution for you! Are you looking for professional plumbing services in the Easton, PA area? 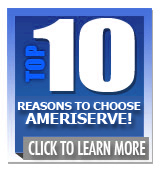 Call AmeriServe at (610) 258-2591 to get immediate attention today! We offer a wide array of traditional and specialty plumbing services in the Easton, PA area. 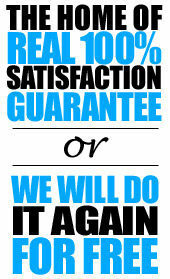 If you’re looking for a trustworthy plumbing contractor in the Easton, PA area then give us a try! Call anytime (610) 258-2591 and schedule a service call.